Parvati (Shriya Saran) and Saleem (Satya Bhabha) are two of ‘Midnight’s Children’ with magical powers. I approached this screening with some trepidation. I read Salman Rushdie’s novel Midnight’s Children in 1982, identifying strongly with its central theme. It felt like the cutting-edge of a fiction in tune with the cultural shifts towards post-colonialist literature. But only a few years later I started to go off Rushdie. I remember a key moment being the attack he made on Black Audio and Film Collective’s film Handsworth Songs in 1987. It’s ironic that Handsworth Songs is now rightly recognised as an important intervention in the development of a Black aesthetic in Britain, whereas Rushdie has lost some of his cultural status. That status appears to have been diminished further with the reception of the film adaptation of Midnight’s Children – scripted by Salman Rushdie who also provides several passages of narration. On its second week of release in the UK, the film was screened only once a day, in the afternoon, in the Vue multiplex at The Light in Leeds. There were just five of us in the audience. This already looks like a lack of confidence from its distributor eOne Entertainment, the new Canadian major . So, is it as bad as all that? Well, no. I decided not to go back to the book before the screening and I watched in as objective a manner as possible. I was surprised to find myself in tears at the end of the film. That probably says more about me than about the film but in most respects this is a very impressive production. The Indian director Deepa Mehta who makes her films from her Canadian base has achieved what many thought was the impossible feat of adapting Rushdie’s novel with a wonderful cast drawn from the vast array of Indian performers working in India and North America in all forms of cinema. More than sixty location shoots in Sri Lanka stand in for India, Pakistan and Bangladesh. Mehta has said many things about the production and my guess is that she chose Sri Lanka for two reasons. 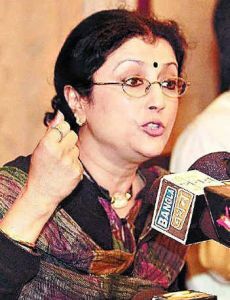 First she had previously suffered from protests by Hindi fundamentalists when she made Water (Canada 2005), the third film of her ‘elements trilogy’. (See my earlier posting about this film.) She moved that production to Sri Lanka where she discovered that Columbo and its environs has preserved much more of the ‘heritage buildings’ from the colonial period than equivalent cities in India. Midnight’s Children was a much more demanding shoot in terms of locations so Sri Lanka was very attractive. Rushdie’s novel has also been controversial in both India and Pakistan and the shoot was interrupted for a few days when the Iranian government tried to pressurise the Sri Lankans to withdraw permissions. It will be interesting to see what happens when the film finally opens in India (there were protests after its screening at the Kerala International Film Festival). PVR are going to distribute the film in India with a release date of February 1st. I suspect the Indian release will create a stir. I’m not sure if critics and audiences will like the film, but at least they will know the history. It is, of course, unlikely that it will be released in Pakistan except on pirated DVDs. I’m not sure yet whether it will make Bradford – where street demonstrations and a book burning were part of the reaction to Rushdie’s later novel, The Satanic Verses in 1989. Rushdie’s long novel (500 pages of dense text in the paperback edition) tells the story of two characters born within seconds of each other at the stroke of midnight on August 14/15 1947, the moment of the end of the British Raj and the birth of two new nations separated by Partition. For reasons explained in the plot, the babies are switched at birth (in Bombay) with the poor child given to the wealthy (Muslim) mother and named Saleem and her ‘real’ son going to the poor Hindu father after his wife dies in childbirth (and named Shiva). As the two boys grow up knowing each other (but not their true identities) in the same district, they gradual discover their special powers, individual to each of the Midnight’s Children born at that one moment across the old Raj. We follow the boys through the major events of the next thirty years when they are separated only to be re-united in very different circumstances towards the end of the story. Rushdie also provides us with further background in the form of the story of Saleem’s Muslim family since his grandfather first met the woman he was to marry in Kashmir in 1915. This means that we have a story that covers 62 years of tumultuous history in South Asia with the birth of three new countries (i.e. Bangladesh in 1971) and a host of important characters. It shouldn’t be difficult to work out from this brief outline that a ‘magic realist’ treatment of these events enables Rushdie to create symbols, metaphors and allegories for much of ‘Indian’ history in the 2oth century. The story is essentially about the failure of the children with magical powers to help create India and Pakistan as viable democracies. Rushdie was writing at a time when Indira Ghandi had just been deposed after the period of ‘Emergency’ in 1977. 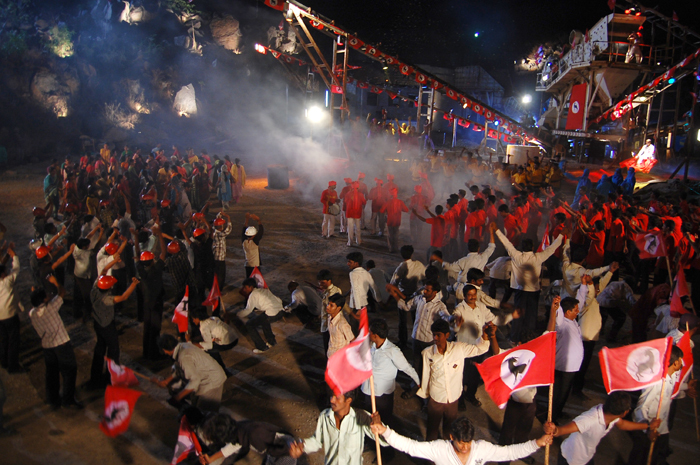 Rushdie’s novel was seen to be unfilmable, although a stage production was mounted in 2003 (see this review) and Wikipedia suggests that a BBC five part serial was considered in the 1990s (ironically featuring Rahul Bose who appears in Mehta’s film) but not developed when it was feared that there would be protests in Sri Lanka where it was to be shot. Deepa Mehta and Salman Rushdie share a background as diaspora ‘creatives’. Mehta was born in 1950 in Amritsar, Punjab province close to the Indo-Pakistani border created by Partition. Her 1998 film Earth is one of the best Partition films. She and Rushdie worked very closely on the adaptation of Midnight’s Children, agreeing on how much to cut from the novel’s plot to enable a runtime of 146 minutes. It would also seem that Mehta urged Rushdie to write and perform the narration – and that he agreed with some reluctance. I think that on the whole the script works (though I did feel that the last section of the film was less satisfactory in that there were ellipses that seemed to suggest cuts having been made). For me, the one big mistake was the narration. I’m not one of those who never like narration. On the contrary, I like narration when it’s done well and when it fits the narrative style of the film. But Rushdie’s voice is so well-known and his delivery for me was so flat that I winced each time it came on the soundtrack. I think an actor could have ‘performed’ the narrator’s role much more successfully. The other criticisms of the film seem much less valid to me. Partly, I think, critics in the UK and North America don’t know the history well enough to understand the somewhat schematic presentation of some of the events and they don’t necessarily know much about the different types of Indian cinema or are familiar with the acting talent on display here. Just to take a couple of examples, Kate Stables in what is otherwise a perceptive and balanced review in Sight and Sound (January 2013), refers to “snapshots of Indo-Pakistan wars and cross-border wanderings”. There are two major wars shown in the film, the India-Pakistan War of 1965 and the conflict of 1971 which saw Indian forces crossing into East Pakistan to help secure independence for what would become Bangladesh. I’m not sure what she means by ‘cross-border wanderings’. The Guardian‘s film editor Catherine Shoard refers to “actors perfectly cast to the point of blandness” and music in which “wooden flutes, xylophones and wind chimes patter about on the soundtrack”. The actors include Seema Biswas, Anupam Kher, Rahul Bose, Soha Ali Khan, Kulbhushan Kharbanda and many more known in India as well as the American-based Satya Bhabha who makes a good job of the lead. Perfectly cast, yes. Bland? I don’t think so. Mehta works in a form of parallel cinema that requires actors to work largely (but not completely) in English and to deal with scripts quite unlike those which they would find in mainstream Indian popular cinemas such as Bollywood or Tamil/Telegu. The overall effect is not necessarily as ‘coherent’ as we might expect in the commercial cinemas of South Asia or Hollywood/Europe. It is usually more ‘realist’ but sometimes more expressionist. The fantasy elements of this particular property (largely achieved without CGI) make this seeming contradiction more noticeable. The music in Midnight’s Children is by Nitin Sawhney. If Catherine Shoard doesn’t like his music that’s fine but as a world-class musician, a British Asian with an international reputation, he deserves not to be treated with disdain. Midnight’s Children is not a perfect film by any means but it is a decent attempt at a literary adaptation that will please the more open-minded of the novel’s many admirers and would also please many new audiences – if they got the chance to see it. Its message of protest about what has happened in India and Pakistan over the years is still something that needs to be shouted out. I think I cried at the end because the film brought together memories of many of my favourite stories from India, partly by reminding me of the films I’ve seen and the novels I’ve read. I’ll try to keep track of what happens to Midnight’s Children in India. Material on the background to the film’s production has mostly been taken from the Press Pack uploaded by Mongrel Films in Canada. 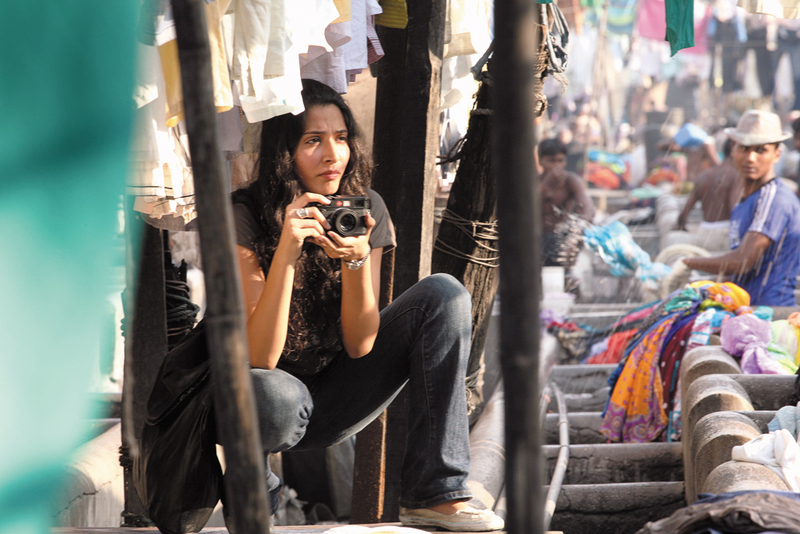 Screen International‘s reviewer described Dhobi Ghat as an arthouse film after seeing it at the Toronto Festival. Mike Goodridge suggested that the film could play in specialised cinemas internationally, but he (correctly) forecast that because the film stars Aamir Khan it would be released on what he called “the Indian circuit” (i.e the 17 different territories that take Bollywood releases) to avoid piracy. And indeed that has been the case with a successful release in UK multiplexes. (I noticed too that the film was playing in Kuala Lumpur on the circuit.) This raises all kinds of questions about production/distribution of what Goodridge refers to as the ‘new independent Indian Cinema’. Dhobi Ghat is an Aamir Khan Production, written and directed by Kiran Rao – Khan’s partner. Since Khan is the Number 1 star in Bollywood at the moment, we should perhaps question what ‘independent’ means in this context. Although the film sometimes looks as if it was shot ‘on the run’ (Wikipedia refers to ‘guerilla shooting’), it was in fact a major production as evidenced by the lists of VFX and extensive crew roles. Currently there are two different overall budget figures across the web. The film cost either 5 crores or 11 crores (i.e. around £500,000 or £1.4 million). I suspect the latter figure includes a major marketing budget. Even £500,000 would get you quite a long way on an independent Indian shoot – especially if Khan himself works without a fee. Prateik as Munnah the laundryman who wants to become a film star. The idea behind the film derives from the interconnections between four very different characters in Mumbai (the alternative title is Mumbai Diaries). Arun (Aamir Khan) is an artist – a loner who grudgingly attends his own exhibition opening. Here he meets Shai, an American investment banker whose father still owns property in Mumbai. She is on a ‘sabbatical’, supposedly researching SMEs (small and medium-sized enterprises) in South Asia, but seemingly more interested in pursuing her hobby of photography. Both of them use the same laundry service offered by a dhobi nicknamed Munnah – a young Muslim from Bihar. The fourth character only exists on videotapes that Arun finds in a drawer when he moves to a new apartment. Yasmin is an unhappy young woman trapped in a loveless marriage as a new arrival in Mumbai from Uttar Pradesh. She makes the videotapes to send to her brother back home. The tapes then provide stimulus for Arun who sets out on a new project. I’m not sure what I make of this film. On the one hand, it is a beautifully-produced and engaging narrative (though not a conventional story for mainstream audiences). But it is also rather contrived and conventional with imagery that is almost too ‘composed’ in its presentation of Mumbai. (The photos that Shai takes are extremely well-composed and look like the belong in a gallery.) Omar offers an excellent analysis of how Mumbai is presented and he (and Shubhajit) clearly love the film. I certainly enjoyed watching it and I recognise that it’s nearly thirty years since I experienced Bombay (as it still was then), but although there were some streetscapes that I recognised, I did feel that mostly the film repeated images from other films. Partly, I blame the soundtrack by the critically-acclaimed Argentinian Gustavo Santaolalla. 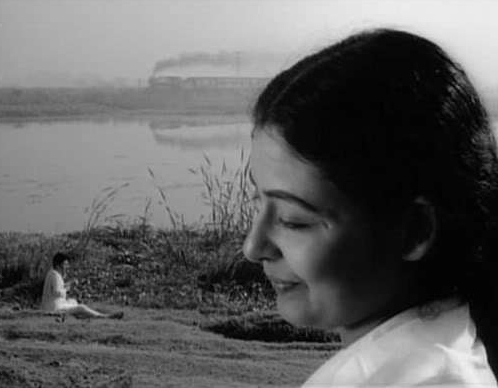 The use of music made me think of Satyajit Ray’s ‘composed’ films, but it tended to remove the sense of noisy bustle on the streets, calming everything down. Sorry, the music is beautiful, but I think I would have preferred either A. R. Rahman or the more direct sound of Salaam Bombay!. The critical reaction to the film has come up with the idea that ‘Mumbai’ itself is a fifth character and there is a general consensus that “only in Mumbai” could we find these kinds of stories. Certainly I think it’s true that Mumbai is the Indian equivalent of Los Angeles – attraqcting dreamers and those seeking their fortune (or just a living) from all over India. Rao herself has claimed that the script was based to some extent on her own experiences living in the city and the issues concerning class, caste and religion in many scenes are well handled. The contrivance comes from the introduction of Yasmin’s tapes at the start of the film when we don’t know their provenance. The film starts with wobbly ‘amateur’ video footage shot on Mini-DV with Yasmin’s voiceover. I felt some uneasiness around me in the cinema until more conventional composed images shot on 35 and 16mm appeared. The tapes intrigue us partly through this introduction – whereas the rest of the narrative is presented in a linear fashion. In the last part of the film we are offered quite conventional narrative resolutions in terms of crime or romance dramas. The four characters are well-drawn but what happens to them seemed familiar to me in terms of Bombay stories. There is nothing wrong with that of course, only that the film sometimes promises to transcend a conventional Mumbai-set drama. The casting sets Aamir Khan against three newcomers (at least as leads). Khan exudes starpower. He plays the mostly sullen loner and his muscle-toned figure and intense stares dominate several scenes. 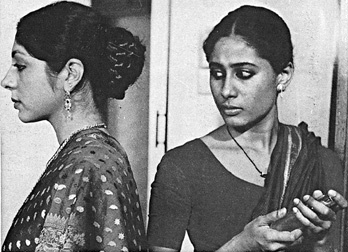 The two women (with Kriti Malhotra as Yasmin) are excellent but the revelation is the dhobi wallah, played by Prateik – who turns out to be the son of India’s greatest star of parallel cinema, Smita Patil. Prateik would never have known his mother who died when he was only a few weeks old. But mention of his mother raises the question of how this film fits in with the tradition of parallel cinema. Aamir Khan himself refers to the parallel tradition in interviews. I think that the film points in the right direction and its success (both commercially and critically) means that it may be easier to get other similar films made. Certainly Kiran Rao has real talent as does the first-time cinematographer, Tushar Kanti Ray and the trio of actors. Aamir Khan continues to be a fascinating filmmaker as actor/producer/director. The screening of Dhobi ghat was preceded by a teaser trailer for the next Aamir Khan Productions release in the Summer entitled Delhi Belly. The short clip looked like an hommage to Danny Boyle and Trainspotting! Returning to the discussion of ‘specialised film’ status, I doubt whether many people in the audience at Cineworld were from the usual UK specialised audience. If someone like Clare Binns at City Screen, or perhaps the ICO, were to put the film into UK specialised cinemas, I’m confident that they would find an audience. In this interesting clip, Kiran Rao and Aamir Khan demonstrate how they set up some of the street scenes in one of the famous thoroughfares in ‘Old Bombay’. Subarnarekha refers to the river of that name (translating as ‘golden line’) which runs through the relatively new state of Jharkhand into West Bengal. Into this strange landscape (forests bordering a valley of sandy shores and rocks beside the river) comes a group of refugees from the partition in 1948. Ishwar, an educated man, travels with two children, his young sister Sita and a lower caste boy, Abhiram, whose mother was taken away by thugs employed by a local landowner. Ishwar is fortunate to get a job from an old schoolfriend who owns a foundry in the area. 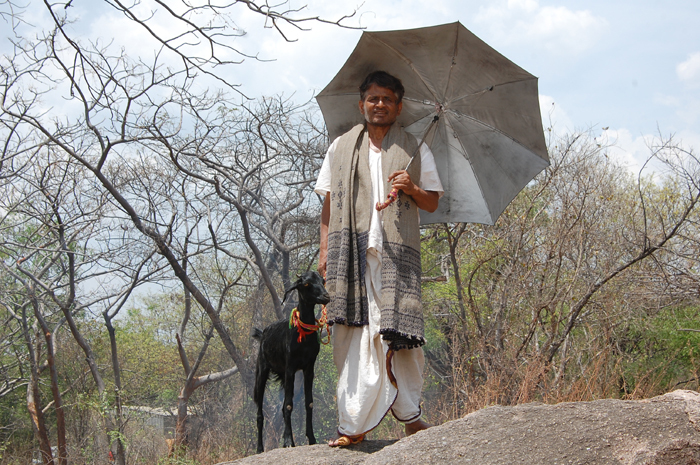 But although economically secure, Ishwar is troubled by a sense of loss about home. Years later he has a form of breakdown when he realises that Abhiram and Sita are in love. He cannot accept the lower caste young man as a member of the family (although he has brought him up as such). The film ends tragically. It’s perhaps not so surprising that Ghatak’s work is not immediately accessible to audiences. He avoids the populism of commercial cinema, yet doesn’t have a coherent humanist art cinema style like Ray, or even a committed political stance like Mrinal Sen. In the same sequence, he might move from what appears to be a conventional social realist approach to portraying village life/city life to a highly expressionistic portrayal of a moment of emotional tension. On closer inspection, however, his seemingly conventional realist camerawork is often undermined by staging in depth with disturbing angles and compositions. 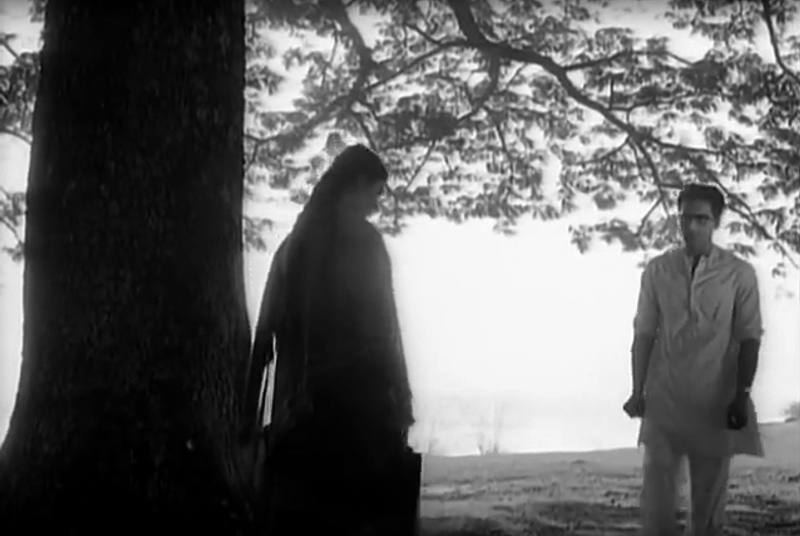 Music is integral to the trilogy of ‘exile’ films (which includes the earlier A Cloud-Capped Star (1960) and Komal Gandahar (1961)). Cloud-Capped Star shares with Subarnarekha a brother-sister relationship in which the woman is a singer of Bengali songs, many written by Rabindranath Tagore (1876-1941), the towering figure of Bengali literature. There is some very good material on Ghatak on several trusted websites. I would recommend the entry on Subarnarekha by Acquarello (and the debate which follows) and the extensive paper by Erin O’Donnell posted on the Jump Cut website. I’d like to draw attention to just some of the points made in these pieces and add a couple of further observations. I’m taken by O’Donnell’s analysis of Ghatak’s use of melodrama. She suggests that it comes from drawing on a wide range of other melodrama forms including from European and Russian Cinemas as well as theatre. At the same time Ghatak makes use of traditional Indian stories from Hindu mythology. 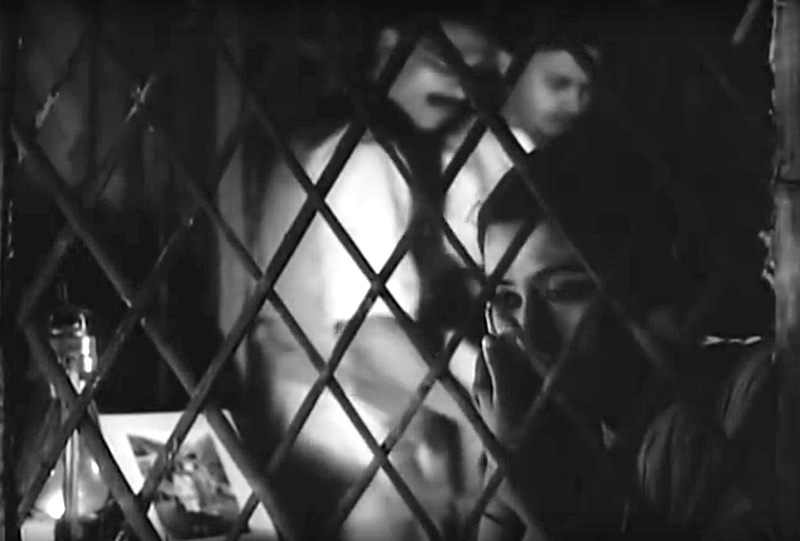 The result is this very cinematic camera, but an unusual mix of other influences placing the resultant films in this no-man’s land between the ‘social’ films of Hindi Cinema (including the films of Guru Dutt and Raj Kapoor) and the art films of Ray and Sen. The films work by using the family as metaphor for the impossibility of creating ‘home’ out of the despair created by partition and exile. Subarnarekha is contextualised by a series of historical events which mark the earlier part of the narrative – the terrible famine in Bengal in 1942, the successful halt of the Japanese advance into Northern Burma and then Bengal in the latter stages of the war, the partition and the exodus to Calcutta and finally the death of Ghandi. After this and the beginnings of a new life by the Subarnarekha River, the time period becomes less distinct and title cards merely refer to a few months or a few years later marking the period when Sita and Abhiram are growing up. I was struck, however, by the abandoned RAF base (i.e. from where the bombers left for Burma). This is where the children play and where Sita has various adventures. The hulks of abandoned aircraft and the few surviving parts of buildings (from only a few years ago) seem to act as a ‘doubling’ of the signifiers of a life that is no longer possible, of times that have irrevocably changed. 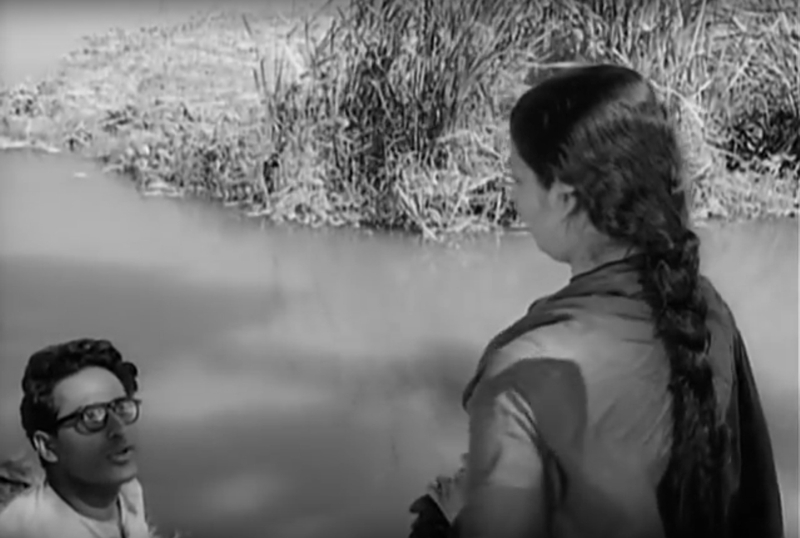 Ghatak’s films are not easy to watch, but they have moments of enormous joy and elation as well as darkest despair and everybody should see at least one of them. See a very short clip from Subarnarekha on the IndiaVideo site.